You wish to send or deliver your items, such as gold- and commemorative coins, directly to us? Whether you live in Germany or another country, it is very important that you contact our Customer Service department in advance in order to settle the following issues! Which parcel service should be used? How significant is the material value? What is the amount of the shipping insurance? Are there cases in which personal delivery is advisable? Are there customs regulations which must be observed? 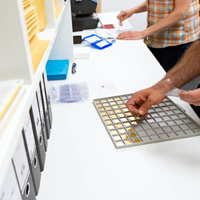 In order to competently assist you in the shipping of your coins, gold coins or commemorative coins, we require certain information from you: what materials do the coins consist of, where do they come from, how old are they, how large and how heavy are they? If you are uncertain about the value and age of your coins, such as gold- and commemorative coins, the simplest thing for you is to send us an e-mail with photos of your collection. That way we can quickly find the best transportation solution for you. As soon as we have received your coins, our experts will evaluate the items, in order to make you an offer as quickly as possible on the basis of their value. At many trade fairs, and at our own branches and representative offices, you may present your coins personally and discuss with our numismaticians the value and consignment of your commemorative coins. This way you receive an immediate initial estimate and competent consultation, for the best possible sale. 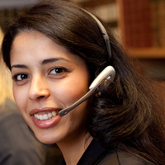 You can find out from our Customer Service department when our specialists will be in your area.